+ Engage with members of the Sigfox ecosystem including operators, clients, device makers, module makers, distributors, start-ups, universities and many others. Attendance is also open to the general public during the second day. For more information, follow us on Twitter or LinkedIn. 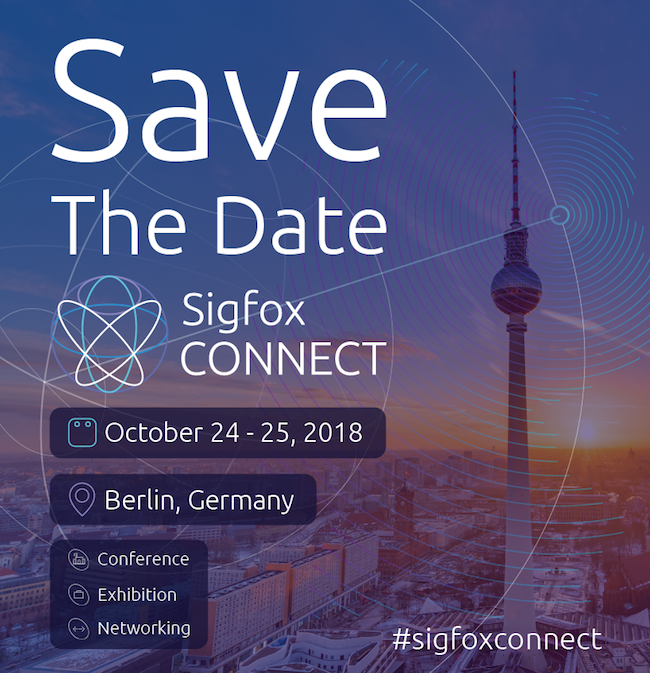 You can keep up to date with the latest event news using the hashtag #sigfoxconnect.